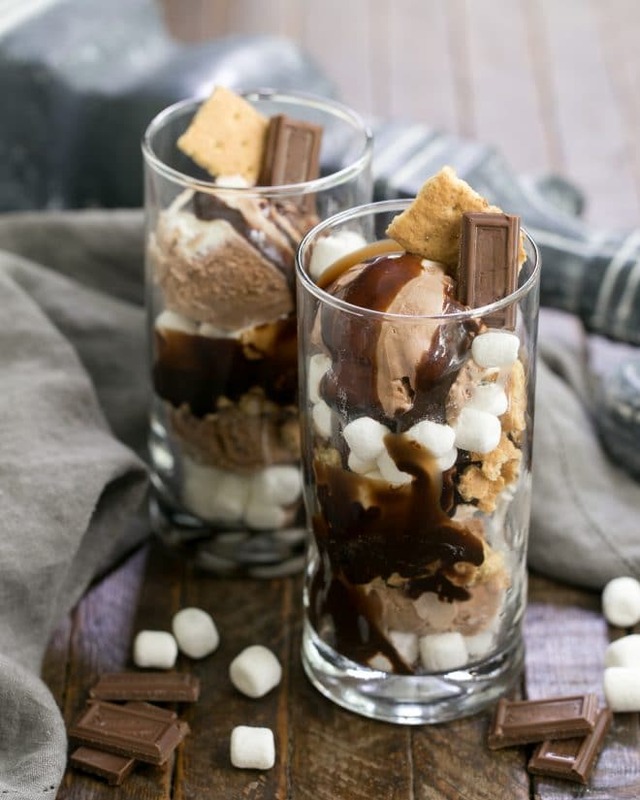 A twist on the classic campfire treat, this s’mores dessert is nothing more than layered mini marshmallows, scoops of rich and luscious Turkey Hill Dairy All Natural Ice Cream, bits of graham crackers and dreamy fudge sauce. As a child, s’mores were a favorite summer dessert. 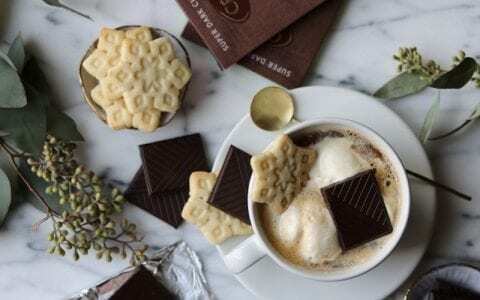 Whether at picnics with family friends at neighborhood parks or up in the Rocky Mountains around a smoky campfire, nothing beat a toasted marshmallow sandwiched with melty milk chocolate. But as an adult, I’m all about a simple yet beautiful after dinner treat. Instead of the traditional s’mores, I created a s’mores ice cream sundae. 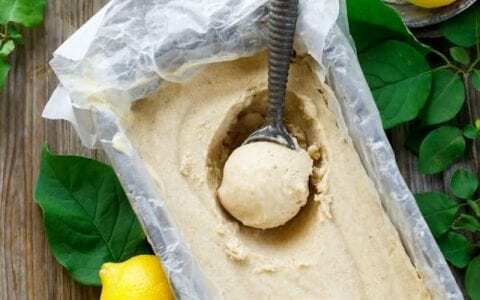 Starting with an all natural ice cream churned with minimal ingredients including extra cream, makes all the difference. I fell for Turkey Hill’s high quality, rich and decadent ice cream with my first bite. Layering scoops of their vanilla bean and vanilla bean chocolate ice cream with the other s’mores components was a piece of cake and utterly delectable! Have I tempted you enough? 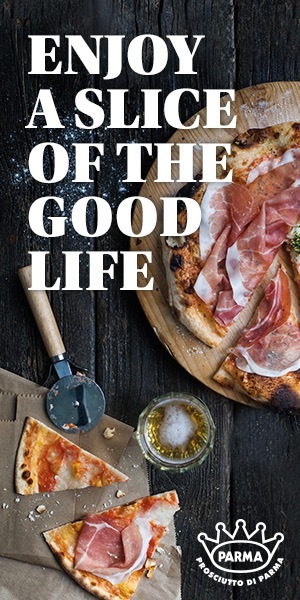 If you’re lucky enough to live on the East Coast through the Midwest, the Good Mooed Sampling Tour may be headed your way. 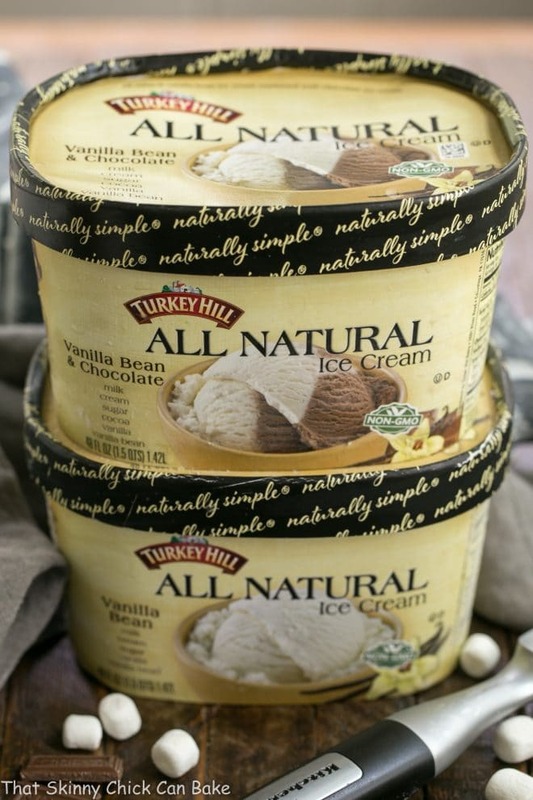 Turkey Hill’s All Natural Ice Cream, which was just launched last year, will be available for sampling in selected states on this tour. 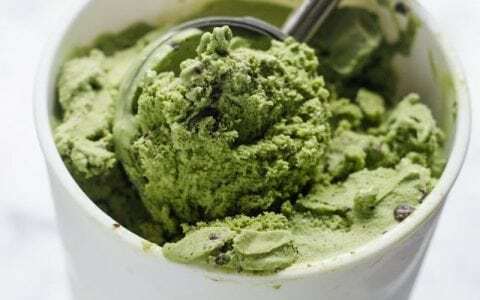 Their terrific ice cream brings you a taste of Lancaster County, Pennsylvania, with each delicious spoonful. 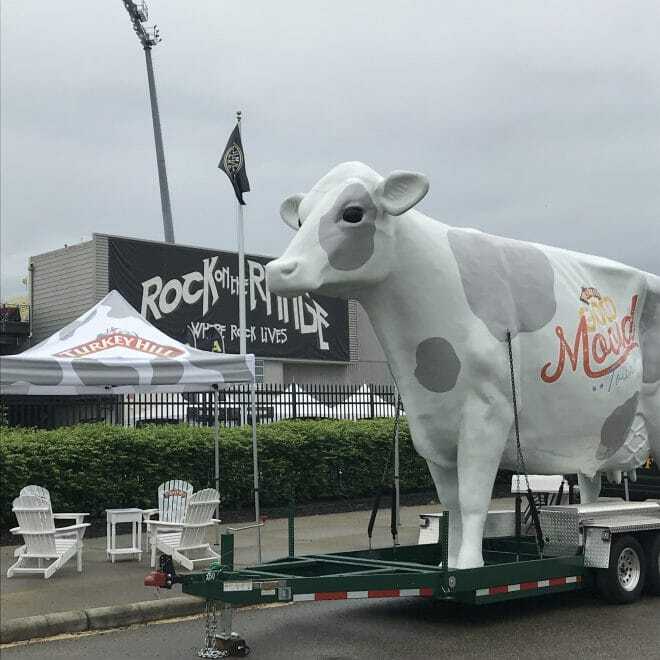 Look for the 13-foot, two ton iconic cow to greet you at each of these events! Just think of the photo ops! Check if the sampling tour is coming to your neck of the woods here. 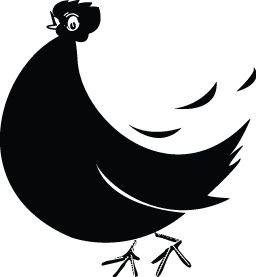 And don’t forget to follow Turkey Hill Dairy on Twitter, Instagram, and Facebook. 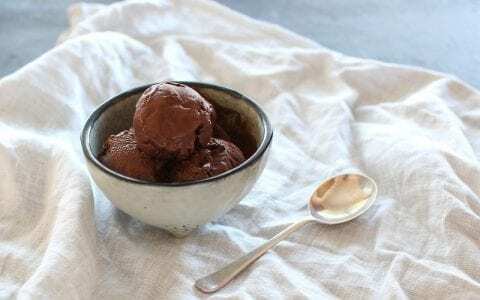 Whether or not you want to make this s’mores dessert or just have a craving for a simple bowl of terrific ice cream, you need to check out this top notch ice cream brand. 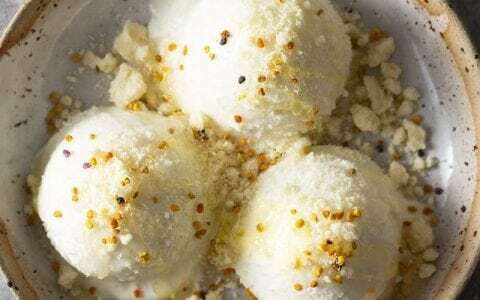 This is seriously good ice cream, I promise! If you don’t happen to be in the tour areas, visit the Turkey Hill Store Locator to find the nearest retailer near you. I found ours at our neighborhood Kroger. More mini marshmallows, plus squares of chocolate and/or graham cracker pieces to garnish. 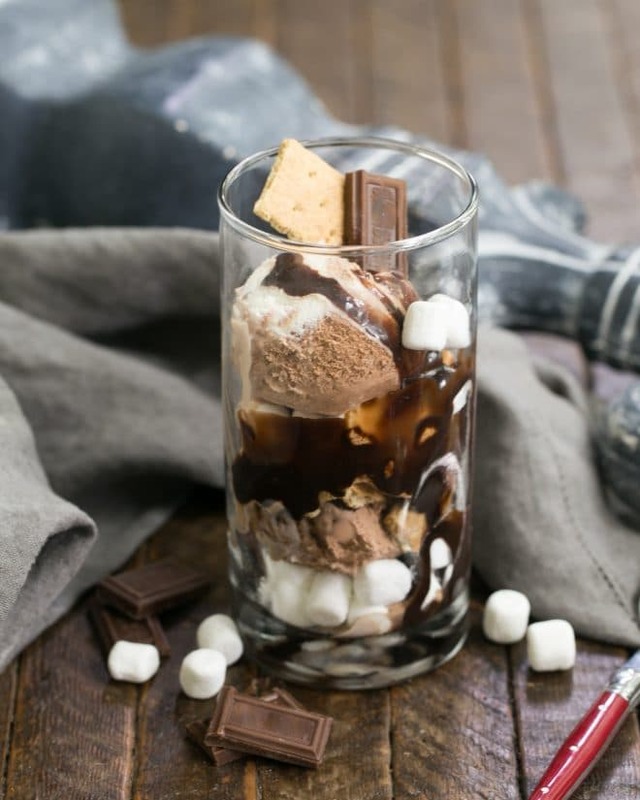 In a tall glass or ice cream sundae glass, layer half the marshmallows, then two scoops of ice cream, half the graham crackers, thena drizzle of hot fudge sauce. Repeat layers using one or two more scoops of ice cream, depending on the size of your glasses. 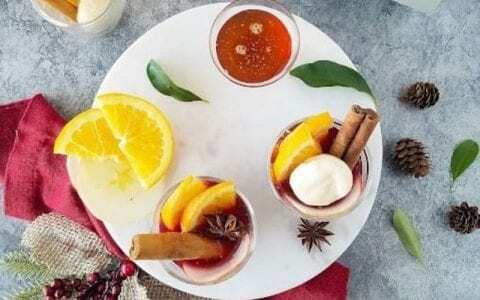 Garnish with a few mini marshmallows, squares of chocolate, and/or graham cracker pieces to serve. This recipe could easily make two servings. Just use smaller serving glasses. Or serve in bowls starting with 3 scoops of ice cream and just one round of toppings. This is easily adaptable. Just layer the ingredients you love in the order that makes sense to you. There is no right or wrong! Make a sundae bar by setting out all ingredients and let guests scoop and layer ingredients as they like. Looking so tasty! Love the mix! Gonna shop some ice cream!